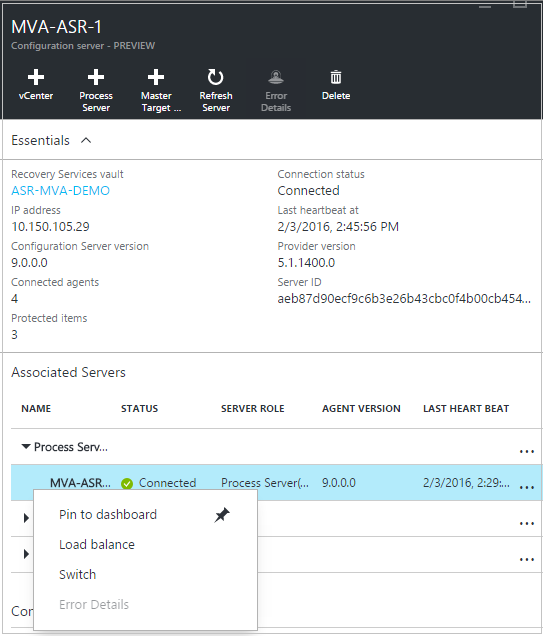 Use this article to plan for capacity and scaling when you replicate on-premises VMware VMs and physical servers to Azure by using Azure Site Recovery. How do I start capacity planning? To learn about Azure Site Recovery infrastructure requirements, gather information about your replication environment by running Azure Site Recovery Deployment Planner for VMware replication. 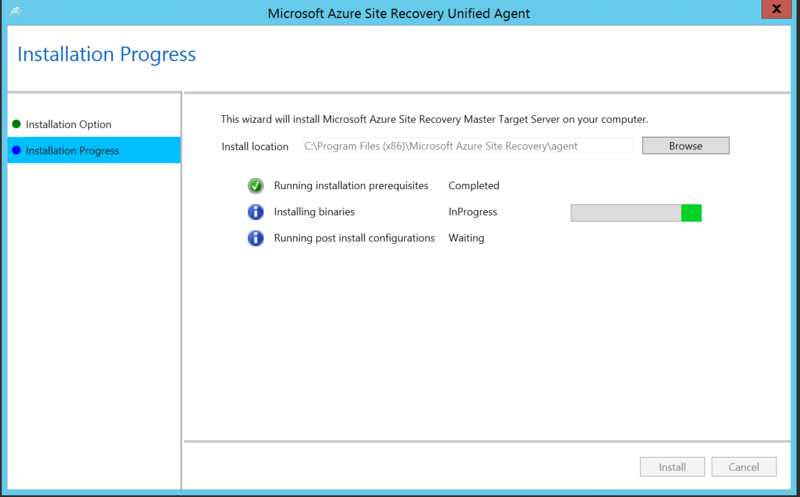 For more information, see About Site Recovery Deployment Planner for VMware to Azure. Site Recovery Deployment Planner provides a report that has complete information about compatible and incompatible VMs, disks per VM, and data churn per disk. The tool also summarizes network bandwidth requirements to meet target RPO and the Azure infrastructure that's required for successful replication and test failover. Replication Maximum daily change rate: A protected machine can use only one process server. A single process server can handle a daily change rate up to 2 TB. So, 2 TB is the maximum daily data change rate that’s supported for a protected machine. Configuration server The configuration server must be able to handle the daily change rate capacity across all workloads running on protected machines. The configuration machine must have sufficient bandwidth to continuously replicate data to Azure Storage. A best practice is to place the configuration server on the same network and LAN segment as the machines that you want to protect. You can place the configuration server on a different network, but machines that you want to protect should have layer 3 network visibility. Size recommendations for the configuration server are summarized in the table in the following section. Process server The first process server is installed by default on the configuration server. You can deploy additional process servers to scale your environment. The process server receives replication data from protected machines. The process server optimizes data by using caching, compression, and encryption. Then, the process server sends the data to Azure. The process server machine must have sufficient resources to perform these tasks. The process server uses a disk-based cache. Use a separate cache disk of 600 GB or more to handle data changes that are stored if a network bottleneck or outage occurs. 8 vCPUs (2 sockets * 4 cores @ 2.5 GHz) 16 GB 300 GB 500 GB or less Use to replicate fewer than 100 machines. 12 vCPUs (2 sockets * 6 cores @ 2.5 GHz) 18 GB 600 GB 501 GB to 1 TB Use to replicate 100 to 150 machines. 16 vCPUs (2 sockets * 8 cores @ 2.5 GHz) 32 GB 1 TB >1 TB to 2 TB Use to replicate 151 to 200 machines. Deploy another configuration server by using an OVF template. Deploy a new configuration server if you're replicating more than 200 machines. Deploy another process server. >2 TB Deploy a new scale-out process server if the overall daily data change rate is greater than 2 TB. Each source machine has three disks of 100 GB each. We used benchmarking storage of eight shared access signature drives of 10 K RPM with RAID 10 for cache disk measurements. Increase the number of configuration servers by deploying by using an OVF template. For example, you can protect up to 400 machines by using two configuration servers. Add scale-out process servers. Use the scale-out process servers to handle replication traffic instead of (or in addition to) the configuration server. You set up a scale-out process server. You configured protected virtual machines to use the scale-out process server. Each protected source machine has three disks of 100 GB each. 4 vCPUs (2 sockets * 2 cores @ 2.5 GHz), 8 GB of memory 300 GB 250 GB or less Use to replicate 85 or fewer machines. 8 vCPUs (2 sockets * 4 cores @ 2.5 GHz), 12 GB of memory 600 GB 251 GB to 1 TB Use to replicate 86 to 150 machines. 12 vCPUs (2 sockets * 6 cores @ 2.5 GHz) 24 GB of memory 1 TB >1 TB to 2 TB Use to replicate 151 to 225 machines. Set up a single process server (16 vCPU, 24 GB of RAM). Set up two process servers (2 x 8 vCPU, 2* 12 GB of RAM). Throttle bandwidth: VMware traffic that replicates to Azure goes through a specific process server. You can throttle bandwidth on the machines that are running as process servers. The HKEY_LOCAL_MACHINE\SOFTWARE\Microsoft\Windows Azure Backup\Replication\UploadThreadsPerVM registry value specifies the number of threads that are used for data transfer (initial or delta replication) of a disk. A higher value increases the network bandwidth that's used for replication. The HKEY_LOCAL_MACHINE\SOFTWARE\Microsoft\Windows Azure Backup\Replication\DownloadThreadsPerVM registry value specifies the number of threads that are used for data transfer during failback. 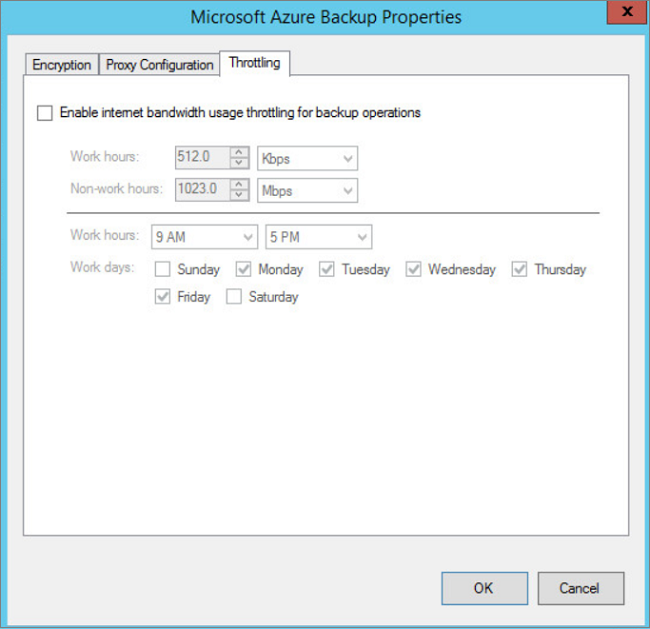 Open the Azure Backup MMC snap-in on the machine you use as the process server. 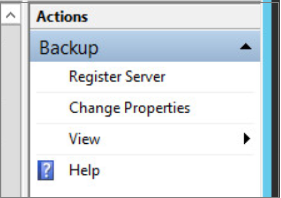 By default, a shortcut for Backup is available on the desktop or in the following folder: C:\Program Files\Microsoft Azure Recovery Services Agent\bin. In the snap-in, select Change Properties. On the Throttling tab, select Enable internet bandwidth usage throttling for backup operations. Set the limits for work and non-work hours. Valid ranges are from 512 Kbps to 1,023 Mbps. Set-OBMachineSetting -NoThrottle indicates that no throttling is required. In the VM's registry, go to HKEY_LOCAL_MACHINE\SOFTWARE\Microsoft\Windows Azure Backup\Replication. To alter the bandwidth traffic on a replicating disk, modify the value of UploadThreadsPerVM. Create the key if it doesn't exist. To alter the bandwidth for failback traffic from Azure, modify the value of DownloadThreadsPerVM. The default value for each key is 4. In an “overprovisioned” network, these registry keys should be changed from the default values. The maximum value you can use is 32. Monitor traffic to optimize the value. To measure these parameters, run Site Recovery Deployment Planner on your environment. 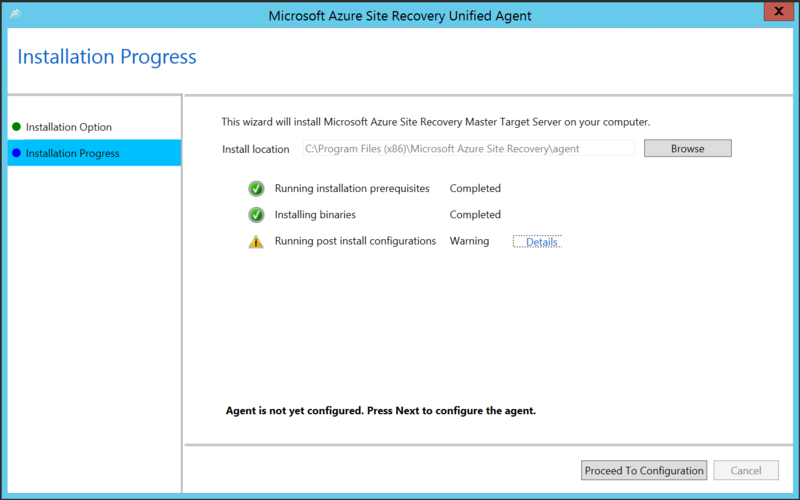 For helpful guidelines, see About Site Recovery Deployment Planner for VMware to Azure. Deploy a configuration server that meets the size recommendations for the configuration server. If your production workload exceeds 650 virtual machines, deploy another configuration server. Based on the measured daily data change rate, deploy scale-out process servers with the help of size guidelines. If you expect the data change rate for a disk virtual machine to exceed 2 MBps, ensure that you use premium managed disks. Site Recovery Deployment Planner runs for a specific time period. Peaks in the data change rate at other times might not be captured in the report. Set the network bandwidth based on the RPO you want to achieve. When the infrastructure is set up, enable disaster recovery for your workload. To learn how, see Set up the source environment for VMware to Azure replication. If you scale out your deployment beyond 200 source machines or if you have a total daily churn rate of more than 2 TB, you must add process servers to handle the traffic volume. To learn how to set up the process server, see Scale for failback by using additional process servers. After you set up the process server, you can migrate source machines to use it. Select Settings > Site Recovery servers. 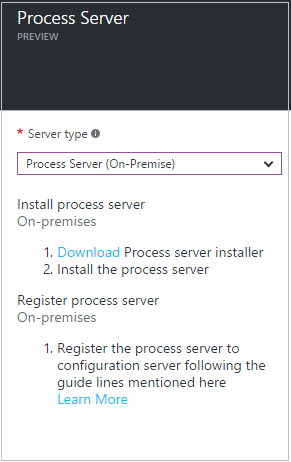 Select the configuration server, and then expand Process servers. Right-click the process server currently in use, and then select Switch. In Select target process server, select the new process server you want to use. Then, select the virtual machines that the server will handle. To get information about the server, select the information icon. To help you make load decisions, the average space that's required to replicate each selected virtual machine to the new process server is shown. Select the check mark to begin replicating to the new process server. You want to protect a Linux-based virtual machine. The master target server available on the configuration server doesn't have access to the datastore of the VM. The total number of disks on the master target server (the number of local disks on server plus the number of disks to be protected) is greater than 60 disks. To learn how to add a master target server for a Linux-based virtual machine, see Install a Linux master target server for failback. 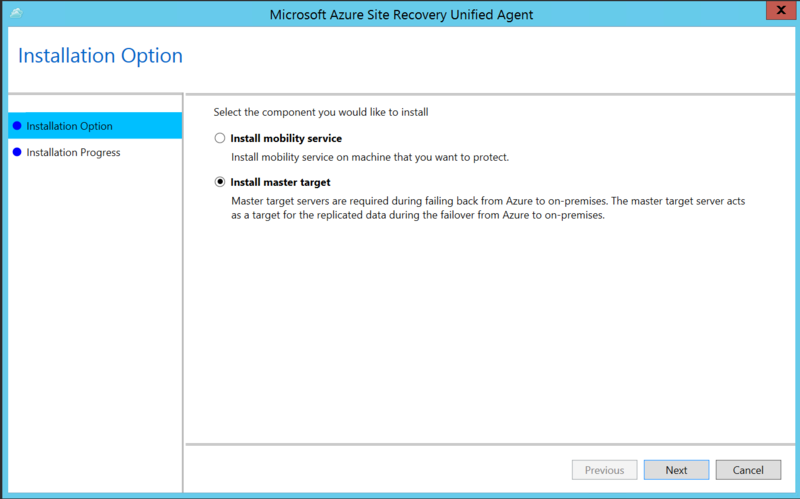 Go to Recovery Services Vault > Site Recovery Infrastructure > Configuration servers. 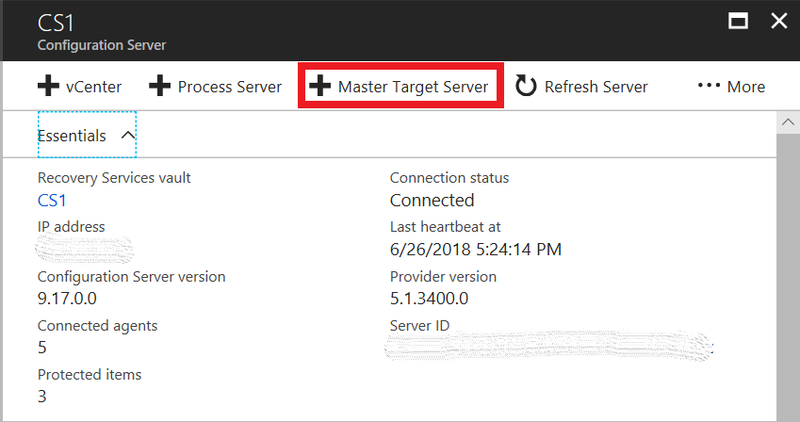 Select the required configuration server, and then select Master Target Server. Download the unified setup file, and then run the file on the VM to set up the master target server. Select Install master target > Next. Select the default installation location, and then select Install. To register the master target with the configuration server, select Proceed To Configuration. Enter the IP address of the configuration server, and then enter the passphrase. To learn how to generate a passphrase, see Generate a configuration server passphrase. Select Register. When registration is finished, select Finish. 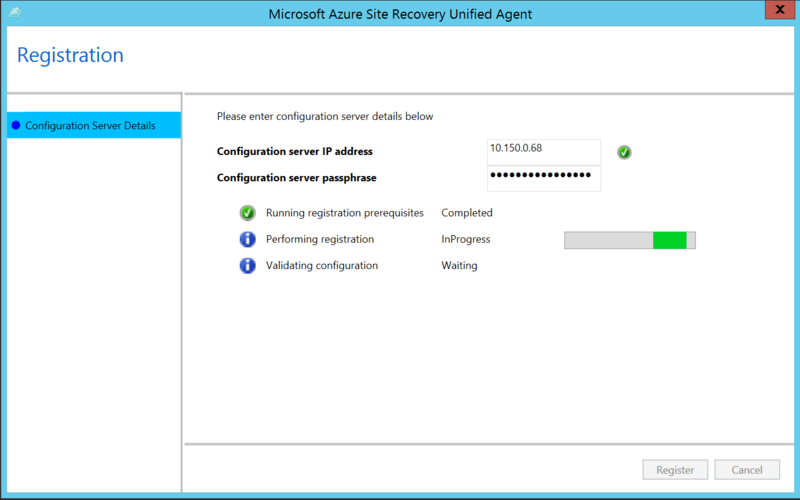 When registration finishes successfully, the server is listed in the Azure portal at Recovery Services Vault > Site Recovery Infrastructure > Configuration servers, in the master target servers of the configuration server. Download the latest version of the master target server unified setup file for Windows. Download and run Site Recovery Deployment Planner.